AUDIO: Lt. Stephen Snider, Capt. Matt King and Lt. Jon Hensen talk Rappahannock safety, life jackets and making a float plan. 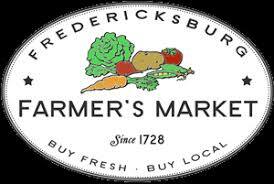 The Fredericksburg Farmers Market opens this Saturday at Hurkamp Park. PHOTOS: In another week or so when the leaves are out, this would be tougher to see. This Bald Eagle was visible from the Falmouth Bridge all afternoon. VIDEO: Up close with Anne Little of Tree Fredericksburg as she describes their mission and how to correctly plant a tree. VIDEO: Arbor Day 2019 in Fredericksburg. City Public Works Director Dave King is honored. PHOTOS: The Rappahannock Valley Garden Club celebrated Arbor Day at Kenmore this morning. Trees planted in honor of City Public Works Director Dave King and in memory of Mike Witt.